Newland Chase provides clients with a deep expertise in all areas of Indonesian Immigration as well as effective advice wherever in the world our clients undertake their business. We invest in the best talent to bring you immigration solutions customised to your business needs. Our immigration consultants provide clear and practical solutions in Indonesia and globally through 70 offices around the world. Which industries commonly employ expats in Indonesia? Indonesia is known as one of the emerging markets on the worldwide scale and it is becoming an increasingly attractive option for foreigners to seek work in cities like Jakarta, which enjoys a growing economy and allows for many financial opportunities. However, the immigration process of coming to work in Indonesia is complex and regulations can change from one year to the next. What are the different types of employment visas available for working in Indonesia? Temporary Stay Visa for Working (Index 312) via the One-Stop Service (OSS) at BKPM – faster processing of several stages of the work permit application process for foreign owned companies (PMAs) with a business licence issued by BKPM. This service is not available for local companies or representative offices. Temporary Stay Visa for Working (Index 312) – allows foreign nationals to work in Indonesia on a temporary basis. Approval can be granted for up to 12 months and may be extended. Note: according to the Manpower decree 464 of 29 June 2012, foreign nationals are restricted to working in certain positions only. However, the general process generally involves: RPTKA (Expatriate Placement Plan) Application (a request for approval to hire foreign nationals), TA-01 Application, Vitas/VBS (Temporary Residence Visa) Approval Application, Visa Application, Entry to Indonesia, Work Permit (IMTA) Application, Residence Permit (KITAS Card) and Multiple Exit Re-entry Permits (MERP) Application, Resort Police Report (STM), Temporary Residence Certificate (SKPPS / SKPSKPS) application, Travel Permit (SKJ) application and Expatriate Existence Report filing. Temporary Stay Visa for Working (Index 312) via the One-Stop Service (OSS) at BKPM – It typically takes 2 weeks to 2 months until entry to Indonesia, and a further 1 month before the whole process is completed. Temporary Stay Visa for Working (Index 312) – It typically takes 1 to 3 months until entry to Indonesia and a further 1 month before the whole process is completed. Temporary Stay Visa for Working (Index 312) via the One-Stop Service (OSS) at BKPM – It typically takes 2 weeks to 2 months until entry to Indonesia, and further 1 month before the whole process is completed. Temporary Stay Visa for Working (Index 312) – It typically takes 1 to 3 months until entry to Indonesia, and further 1 month before the whole process is completed. Can an assignee enter Indonesia on a business/tourist visa? Those who are in Indonesia on a visitor visa may not take up any sort of employment. Working in Kuwait requires a Work Permit. You may not switch immigration categories from a visitor to an employment visa in-country. If you wish to undertake work in Indonesia you must first return to your country of residence and apply for the relevant work visa. Once your employment visa has been approved, you may enter Indonesia and undertake employment. Can an assignee apply for permanent residence in Indonesia? Requirements and procedures for permanent residence vary on a case by case basis depending on the applicant and their status in Indonesia. Foreigners holding KITAS with status as worker, clergy, investor and old in age may file for Permanent residence visa/KITAP after residing for 3 consecutive years. Foreigners married to Indonesian nationals may file for Permanent residence visa after being married for 2 years.  In some countries, timescales for obtaining police clearance certificates can be lengthy and some documents will require Apostille or legalisation, which can also involve lengthy processing times. As such, you would be advised to start the visa application process well in advance of the desired date of relocation.